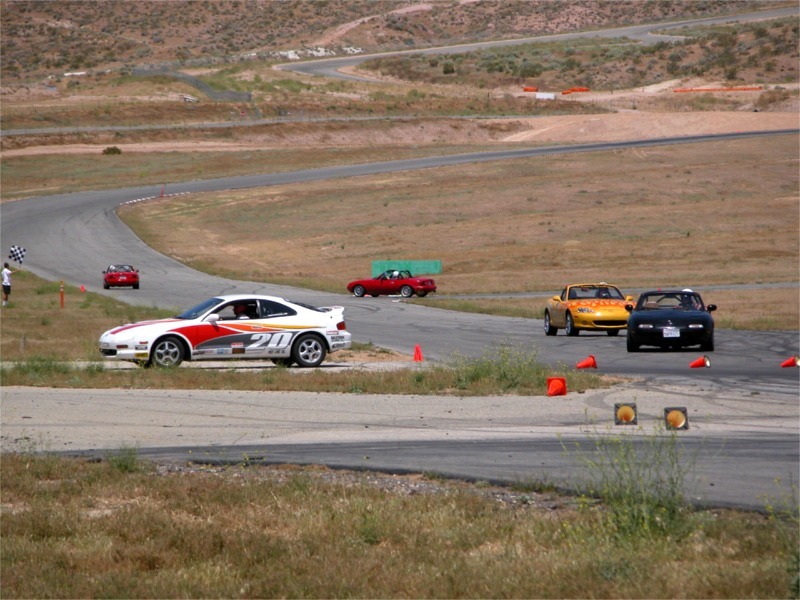 click photo to enlarge A day at Danny McKeever's Fast Lane Driving School. Wow, talk about an adrenaline pumping day<grin>. For my birthday Karen bought me a day at high performance driving school. Well, I'm here to tell you if you want a school where you learn a lot and get as much track time as you want this is it. 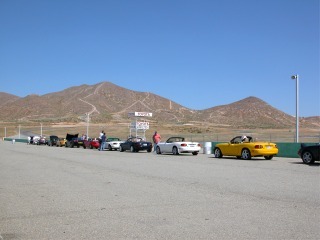 click photo to enlarge Out Miata club arranges these track days usually at least once a year. 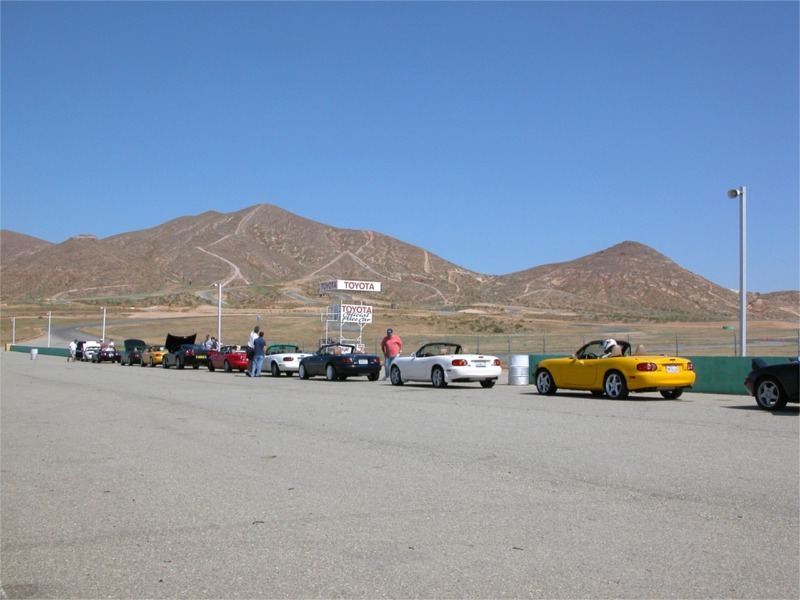 This was the first time I have ever participated There were about 45 cars and it was broken down into 3 groups of about 15. 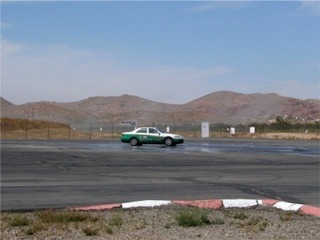 While one group was on the track another was on the skid pad and the third group was practicing heel toe shifting techniques. click photo to enlarge While you were racing around the track if you thought you had it down you could stop in the pits and pick up an instructor. 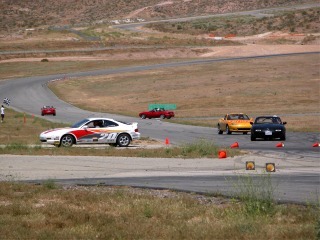 The instructor would ride around with you then give you pointers to help you improve your driving and track lap times. 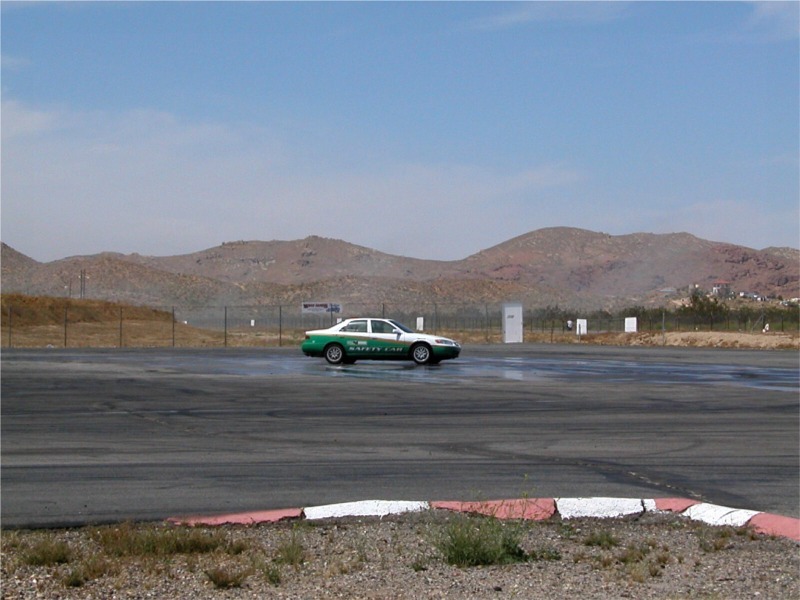 click photo to enlarge On the skid pad after doing 180's forward and backward you also got to take your own car and go around a circle. You kept going faster until the car would break traction. 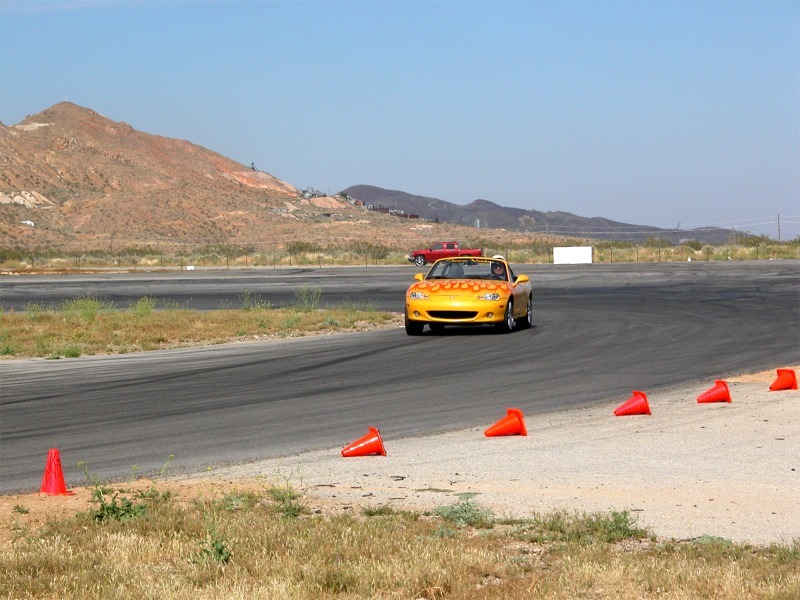 The purpose was to teach you the limits of your car and also what to do when you were going around a curve and started to lose traction. 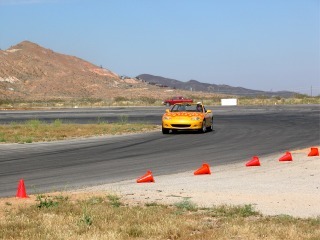 The group I was in did the skid pad first and I was glad. It taught me the limits of my car before hitting the track. click photo to enlarge All in all it was a wonderful day and a lot of fun. 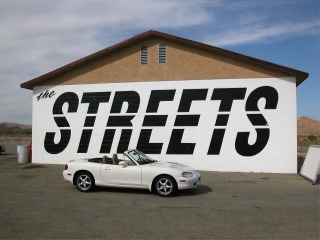 But I also gained a healthy respect for the Miata and its capabilities. Let me tell you this little car can handle ! The temperatures were in the mid nineties and there were 45 people there beating the heck out of their Miata's and not one single problem. You mash the gas, mash the brakes, then mash the gas and then repeat. All this, and for most of the group, the car is also a daily driver. Thanks for a great gift Karen !